unless it’s a sunny day and you just want to nap in the yard. or just curl up in a chair. Might as well sneak upstairs to see if the bedroom door is unlatched. One in seven mornings a headbutt gains you entry for napping in luxury. but every day there will be cuddles and rubs. You just nestle yourself into a leg and those hands begin. If you stay still you can be petted for a longggggg time because you are soft to touch. Another trip outside and maybe a walk. Dinner is served promptly at 5. Outside again and some playtime. There are always more hugs and rubs before you turn in for the night. 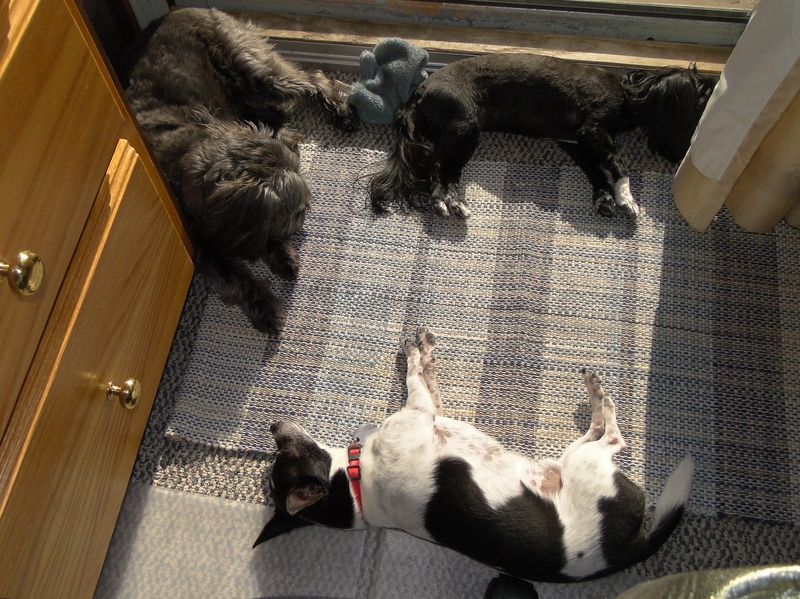 This entry was posted in Dogs, Poetry and tagged dogs, NaPoWriMo, National Poetry Writing Month, Poetry. Bookmark the permalink.